A recent report by The Sydney Morning Herald, a leading newspaper of Australia perturbed many integrated facility management professionals. It had completely misrepresented the role of ergonomics at workplace. The publication cited that role of ergonomics in workplace and consequent issues of back pain is something which is best understood and left to people of medical fraternity. They cited the testimony of Sydney University professor, Chris Maher who also happens to be an authority on back pain. This citation by the publication has led debates of sorts. 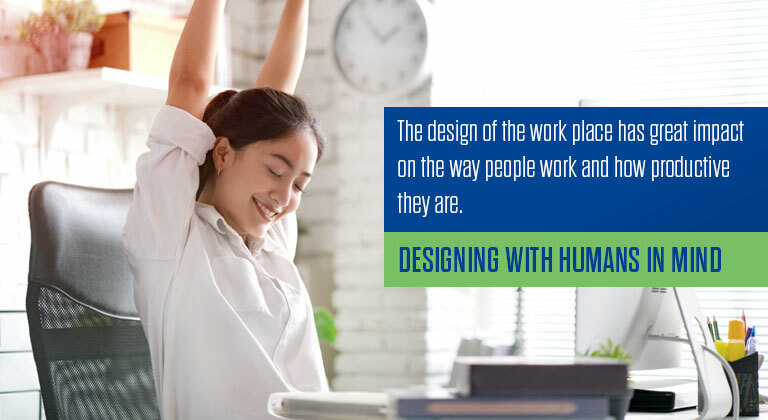 Ergonomics is a very diverse field of study, and it encompasses multiple specialties like physical sciences, cognitive sciences and even social sciences. But all of that has only one objective that is to design for human comfort and productivity. How can design be made which would result in things which are more productive, efficient,healthy and obviously safe. One of the biggest role of ergonomics is to make things safe so that there are few or no physical injuries at work place. However one thing is for sure that ergonomics is definitely not a treatment based discipline. It can help prevent things not treat them. When you meet a certified professional ergonomist, the likelihood is that they will also have a diverse array of credentials, knowledge and skills. For example an occupational therapist. Can also be a certified professional ergonomist.For the purposes of this article, it is this that perhaps signifies best how a professional ergonomist can make a difference to a business and the stakeholders responsible for its success – by having a positive impact on the bottom line. A professional ergonomist is actually a jack of many trades as far as IFM is concerned. How does that happen? It all begins by having an ergonomist enter your workspace. When he does this, the number one priority is understanding what are the human performance requirements in that space – what are the tasks that people need to perform, what are the demands within that task, the performance components, who the workforce is, what is the diversity in that workforce now, but also into the future, what is the desired target workforce? It is vitally important that this conversation is a two-way street with the worker, because when they are fully engaged in the process, when they contribute to the design practice, they become an architect of superior work design. Its these conversations which an ergonomist has to give shape to. Understanding what needs to be done and then getting it done is of prime importance here. The best ergonomic professionals are the master of converting thoughts in to workable practical solutions. That’s what defines their expertise in the field. So for a property facilitator or a facility manager, the benefits of ergonomic principles soon become clear.To begin with, there is usually excellent uptake on the uses of the space. When people feel the tasks that are meaningful to them are well provided for in the design of that space, there needs to be very little rework, very little maintenance, less cost, less environmental demand, better sustainability and, therefore, fewer energy costs.